Yucca plants thrive in Big Bend National Park. 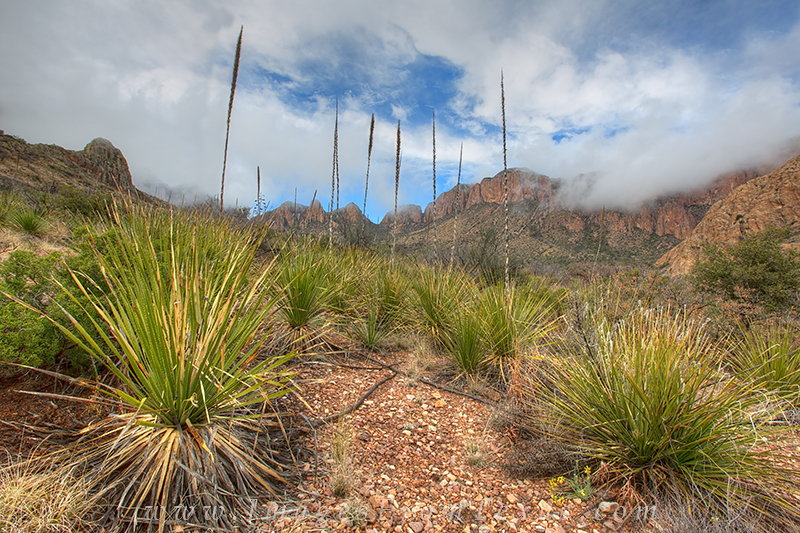 After a storm, blue skies begin to appear again over the craggy peaks of the Chisos Mountains. Photo © copyright by Rob Greebon.